Coincidence or not, John Inverdale was nowhere to be seen before or during Johanna Konta's match against Venus Williams today. The nation was said to be relieved, but also slightly disappointed. Luckily, he made a triumphant return for the mixed doubles match, where Jamie Murray and Martina Hingis beat Ken Skupski and Jocelyn Rae. 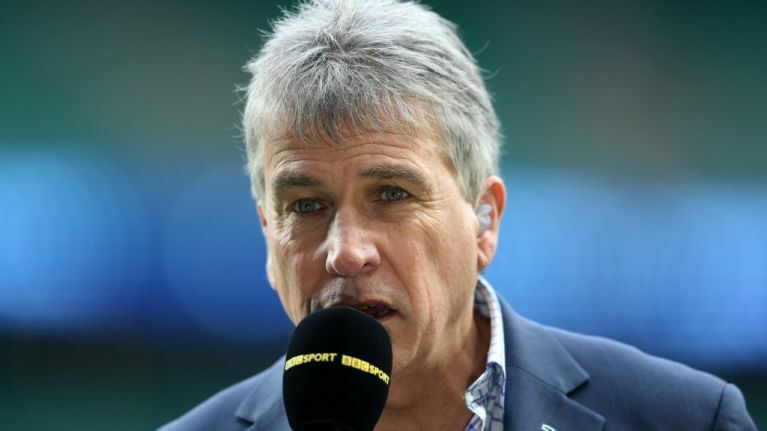 As we've come to expect from Inverdale, there was a plethora of bizarre statements flowing throughout the match. Here are some of the most inappropriate things I heard during the course of the match, which lasted one hour and four minutes. 1. "Martina Hingis is younger than Venus Williams. She's made it clear she has no desire to play singles, but if she did, how do you think she would do?" 2. "Mixed doubles is the most entertaining of all the doubles because there's so much contrast on the court. You're certainly not going to have the same power as the mens doubles." 3. "You need to cup it, it's no use just grabbing at it" - about how to successfully catch a wayward tennis ball. 4. "Obviously Martina Hingis has made tens of millions, but Ken Skupski, nearly 35, has only made $500,000 over the years." 5. "Most of centre court will wish the womens singles was still going on." 6. "It's good when a stellar name like Martina Hingis is playing in the mixed doubles." 7. To Sam Smith: "Were you one of those people playing doubles who banned the word 'sorry'?" 8. 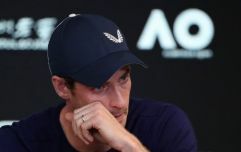 Sam Smith: "I used to play with a Japanese partner who apologised if I made a mistake". Inverdale: "Oh was she apologising to the crowd? 'Sorry about my partner, I'll be shot of her next time'". 9. "Ball swinging in at Skupski's body." 10. "Don't watch the ball for this next point, just watch Jamie Murray's feet." 11. "It's easy to forget that the holders of this championship are a British / Finnish combination." 12. "There's war and peace here about Martina Hingis." 13. "It's a tough occasion in terms of the setting, the stage, everything that's set this match up." 14. "I suppose you've just got to make them play, if you possibly can." 15. "Jamie Murray and Martina Hingis brought just a little bit too much class to the court." Can you get full marks in this Wimbledon quiz?